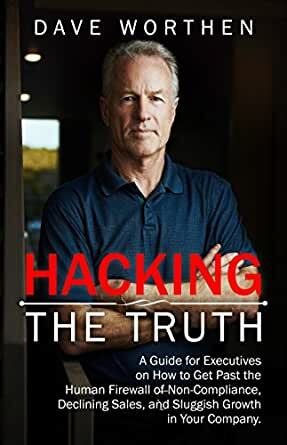 Hacking the Truth is an inside look into helping executives, managers, entrepreneurs, and anyone who leads, get down to the truth in situations that are blocking expansion in your business. This work spans forty years of working with CEOs, Executives, and small business owners. The pattern is always the same: Your company or business is successful, but expansion stalls. You work harder. Staff put in more hours. Your sales have hit a ceiling or are in a decline. Although your business may be doing “fine” it is not really flying. You have this sense from being in the trenches and knowing your business, that something is just not as it appears. The problem is that most executives have never been trained or educated on how to handle the human firewall that their best staff or VP’s can put up. This is where disagreements are cached and withheld. This is where opposition, resistance, or even disaffection with company policy or procedure reside. The truth is, only individual beings can stop the forward progress of any group, business, or idea. And you would think in a group that’s committed to success, why would there be one or two that would want to put the brakes on? That’s the type of question most executives don’t think to ask. This is why you need to learn how to Hack the Truth. Hacking the Truth is a guide to teach you how to follow your own knowingness and perceptions all the way past and through the human firewalls your staff can put up. It teaches you to ask the tough questions and keep asking despite being cleverly detoured by those who don’t want to be found out. And once you get down to the truth, as the old saying goes, “Know the truth and it shall set you free,” is quite accurate. You and your company are not free to roam the cabin or truly fly if you have those onboard who have a different agenda. Hack the Truth and you will not only see a new resurgence in your business, but a renewed sense of well-being in your personal life. 5.0 out of 5 starsMust read for any business owner! I have to say that this simple, entertaining and hard hitting book is a must for any executive, parent or business owner. I have four children and have been a small business owner (Optometrist) for the last 23 years. I wish I would have had this information back then. It would have saved me a lot of trouble and hundreds of thousands of dollars. I have tried everything from being Mr. nice guy to being a tyrant. None of these desperate techniques worked. In this book lies the secret to success and actually having fun again. After reading Mr. Worthen's book I went out and applied what I had read. My biggest stumbling block was my own failure to "Hack the Truth". Something was stopping me. It was myself and my lack of courage to do what I knew I needed to do. Once I got over that and just applied the principles taught in the book I felt like nothing could stop me. The results have been nothing short of amazing. I discovered what was causing my practice not to expand. I have earned the respect of my staff and I now have a great group of employees. I enjoy practicing like never before. It has even improved my relationship with my wife and kids. I still wonder how I missed something so simple and miraculous. This book has not only improved my bottom line it has given me back my sanity and joy of business ownership. 5.0 out of 5 starsThis book is a must for EVERYONE! It’s really good!! Dave Worthen is a unique and skilled writer. His sense of humor is fantastic. The simplicity, along with the human touch of his words, is so powerful. Precisely as the truth is! As a former entrepreneur, real estate investor, social media networking person and mother of three, I found myself interested in the idea of “Hacking the Truth” as something I’ve dealt with in the past. Then, while I was reading the book, I went through several moments where I could see how this simple but powerful tool might have been very useful for me at the time! Had I had a bit of it...I thought... many things would have been really different. The good thing now is that i have the benefit of understanding that the Truth can be Hacked and how to do it at once! I got to the point where I discovered that I had to apply this in some areas of my life right now! Evidently, Dave is a kindhearted person, whose greatness and willingness to help others is beyond comparison. Definitely, this one is a must! Love Dave's writing. He's got a lot of pop culture terms from his generation, so I, being a non-native English speaker and younger person, make sure that I look up the words and references on dictionaries and Google. Once understood, his work always gives me physical sensation of improved knowingness. This book is a must read for everyone. This is not only for Executives and business owners, but for anyone interested in getting along with others. It shines the light on a major source of upset and failures in companies and personal relationships. 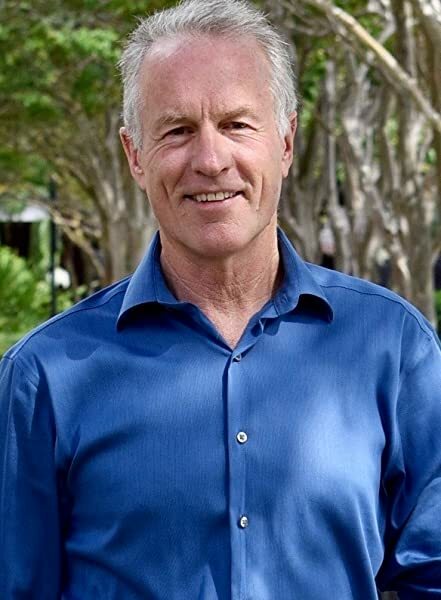 Dave Worthen has a great sense of humor and is able to take a difficult subject and make it easy to understand and apply. You will be glad that you read it !! 4.0 out of 5 starsUseful and applicable goodies here. I personally have had the 'Bristly Brian' work for me more than once. They do indeed become bristly and hard for others to look at for just that reason - they don't want you to see all that they are doing or not doing. A book full of some easy to use simple truths. Very valuable.